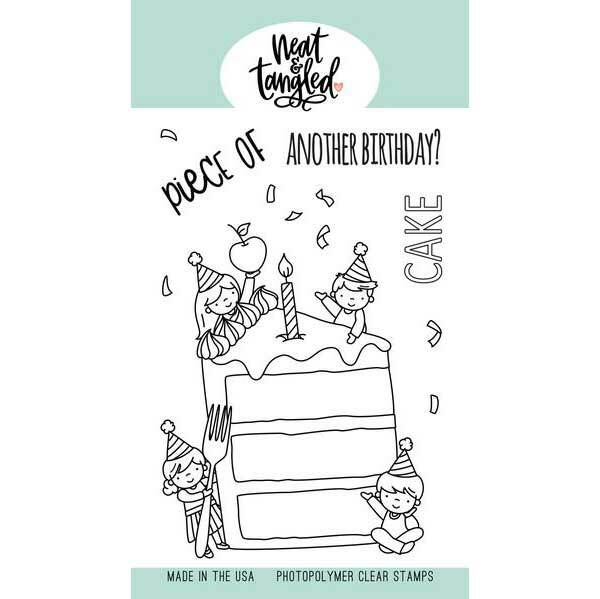 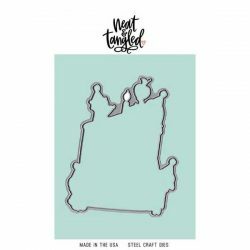 Piece of Cake stamp set by Neat & Tangled. This stamp set is awesome! 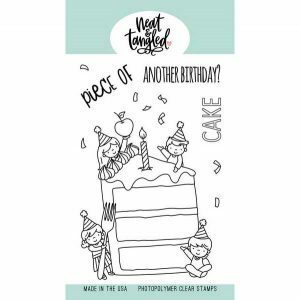 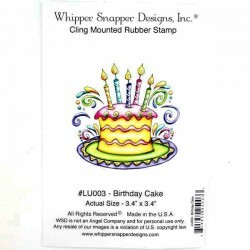 It creates, in one big stamp, a huge piece of cake with kids peeking out from it – it truly is a sweet treat. 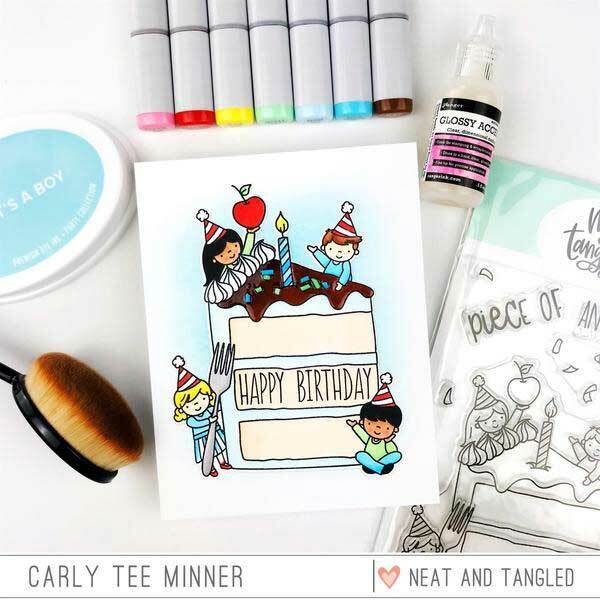 This set contains a large image to create the perfect focal point for your cards! 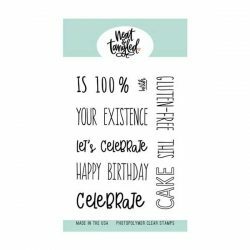 Pair it with any of the great sentiments from the new Piece of Cake Sentiments stamp set, plus it has coordinating Piece of Cake dies (see below for both!.